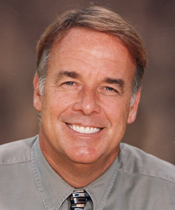 Ozone Therapy – Safe & Natural Dental Techniques in Santa Barbara — Dentist in Santa Barbara, CA | Dr. Mark T. Weiser D.D.S. O3 dentistry may be the best oxygen has to offer our dental patients. Oxygen/ozone (O3) comes in 3 forms, as a gas, in organic vegetable oil form or as ozonated water that effectively kills all bacteria, viruses and fungi living in the mouth. It also stimulates our own immune systems to help with healing! Dentists currently using oxygen/ozone in their dental practices find the multi uses of this therapy are increasing a positive outcome in all aspects of everyday dental procedures. The application of ozone to an affected area can kill infection in 10 seconds or less and was first introduced into the dental field in Switzerland in the 1900’s. Dr Weiser: At a Havana symposium, Cuban dentists heard Dr. Mark Weiser outline the use of ozone to treat cavities and gum disease. Dr. Mark Weiser in Santa Barbara, California, has been involved as a research team member examining the uses of ozone in day to day dentistry and has used ozone in his private practice for the past ten years demonstrating extraordinary results as an alternative dental choice in pain free treatment of bacteria, viruses and fungi and in certain circumstances with the application of ozone aids in tooth remineralization and saves the tooth from customary decay removal followed by a restoration. Dr. Weiser lectures nationally on Health Centered Dental Care, and biocompatible dental treatments using only biologically safe materials and dental care based on prevention. As a visiting professor for instructing ozone in dentistry for the University of Matanzas Medical School in Cuba and an Instructor for Pathfinders, a dental ozone study club. Dr. Weiser lecturers nationally and internationally on the comprehensive uses of Ozone Therapy in the dental office, and the role ozone therapy offers in whole-body health and wellness along with the non-invasive uses in periodontal care regarding Oral Systemic Link. Dr. Weiser currently serves as Vice President of International Association of Ozone in Healthcare (IAOH) and his a frequent expert speaker & visiting professor worldwide. How does ozone work on tooth decay? Answer: Bio-Restructuring. The use of ozone on the area of decay or infection changes the biochemistry of the infected area from acidic, (an environment that actively promotes mineral loss and further expansion of the area) to basic. This is accompanied by the complete eradication of the infective organisms and their acidic by-products, leading to arrest and reversal through mineral uptake into the area of decay. Desensitization – Reduce sensitivity of teeth to hot and cold. When used to treat gum disease, ozone acts to kill all bacteria and initiates within the cells. Many times when accompanied with the laser, gum disease can be completely controlled. When ozone is used in desensitization it acts as a bacteria killer, which is often times the cause of the sensitivity, and used along with the application of a remineralizing agent can immediately reduce or get rid of all sensitivity. Follow up remineralization products must be used to ensure complete reduction along with good brushing and flossing. An obvious treatment using ozone is for those who get “cold sores”, canker sores, gum swelling/soreness and any lesion that forms in the head and neck. Using newer techniques called “Prolozone” we can effectively treat migraine headaches and TMJ pain using a series of oxygen/ozone plus nutrient applications. "Dental care up to now has been about invasive procedures for the gums and teeth. Now, for the patient, a whole different experience awaits, an experience that with the use of oxygen/ozone can many times eliminate the use of injections, gum surgery and limit the need for drilling – in other words, we can replace uncomfortable appointments with a simple, short, pain free treatment – all done with ozone." Dr. Weiser has invested in this new technology to bring you the most modern dental treatment and care of the 21st century with true organic healing possibilities. Dr. Weiser provides this leading edge technology along with bringing you the best products and treatment making sure your dental care is safe, predictable and long-lasting.